Obtaining collateral loan is a simple and easy process. You simply bring in your items you want to use for collateral to a reputable lender. They will inspect it and value it, and make you an offer. You agree to the terms of the loan….and that’s it! It’s as simple as that, no hidden fees, no credit checks, no lengthy forms and applications to fill out and no waiting period. You can walk out with the cash you need in minutes. If you’re in need of cash right away, and you have collateral to loan against, there is really no better solution than a collateral loan. Going the route of a traditional bank loan could take weeks or more before you’re approved and actually receive the cash…if you are approved at all. These days, it’s more and more difficult to get a loan from a bank, which is why people are using collateral loans or pawn loans more frequently. 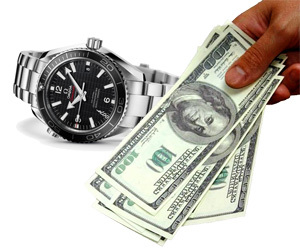 Jewelry-N-Loan specializes in making loans against luxury items like your fine jewelry, diamonds and luxury watches. The Jewelry­‐N­‐Loan team is able to complete the confidential loan process in just a few minutes and we are confident that our interest rates are the lowest you’ll find in Orange County. We never perform credit checks and all collateral is safely stored in UL certified safes or bank vaults. If you find yourself in a cash crunch, please visit us on Newport Blvd and walk out with cash in hand. It’s that simple. Contact Jewelry­‐N­‐Loan today! Previous PostDeals On Diamond Jewelry In Costa MesaNext PostWhy Are More and More People Turning To Pawn Loans?